He Named Me Malala. Malala Yousafza. Her name is a name we all know. A young girl from Pakistan who made headlines after being shot in the head by the Taliban and miraculously survived. 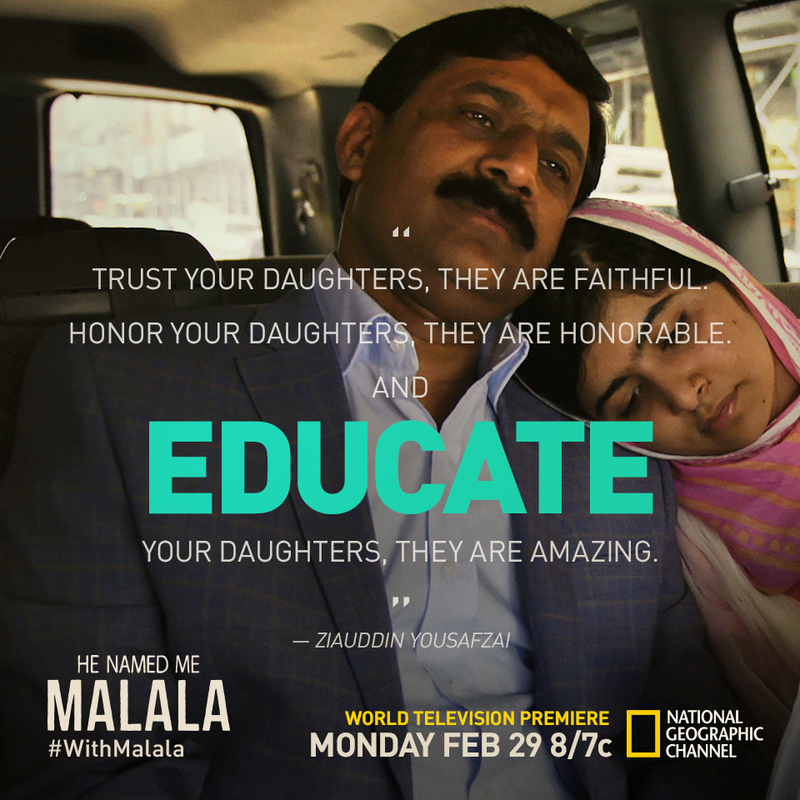 It's WHY she was targeted along with her survival that has made Malala's story even more powerful. A young girl blogging for the BBC in an area that was becoming overwhelmed by the Taliban. She continued to fight with her words and to empower girls to rise up and become educated. Along with her loving father, they received death threats and then... it happened. She was shot. From a blogger, to an activist, to being shot by the Taliban, to becoming a Nobel Peace Prize winner, Malala has fought tirelessly. 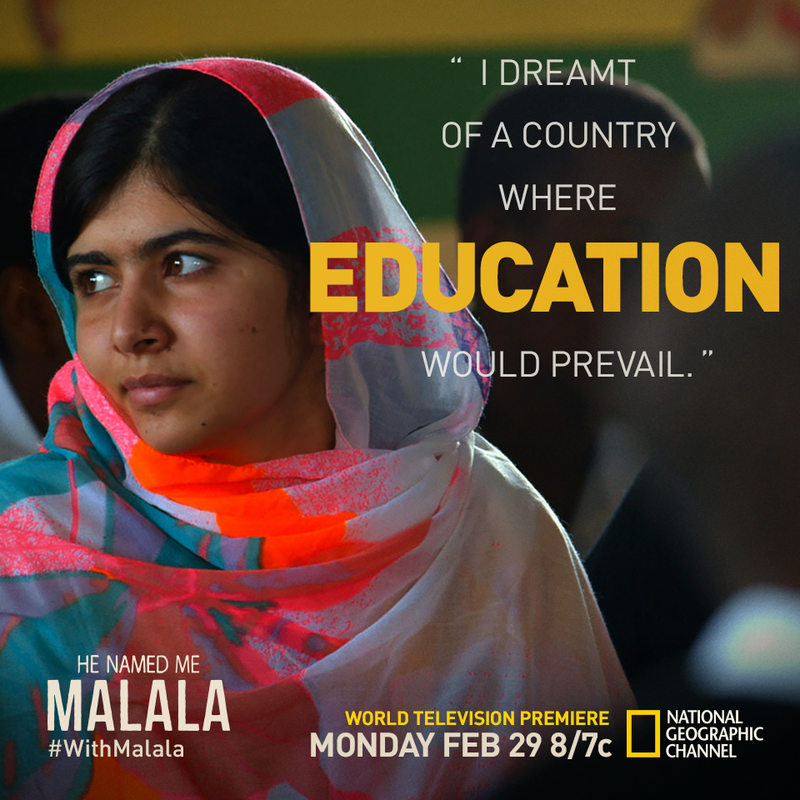 I am reading "I am Malala" in anticipation for "He Named Malala" to air on National Geographic Channel on Monday February 29th, 2016.